This month’s challenge is related to the Evan and Elle review (2/27/14). To spark your creativity, The Poisoned Martini features monthly images to get you started. Such images, because of their visual nature, vividly speak to writers and spark ideas for writing. The idea is to view the image below and to write a scene, a short story, a chapter, a novella, or maybe even a novel. Last month’s image featured a famous landmark which houses the tomb of a famous military mind in a well-known city. Napoleon Bonaparte is buried in a lavish sarcophagus of red quartzite beneath the gilded dome, part of the complex known as L’Hôtel national des Invalides in Paris. The photo was taken in 2005. View the image here. 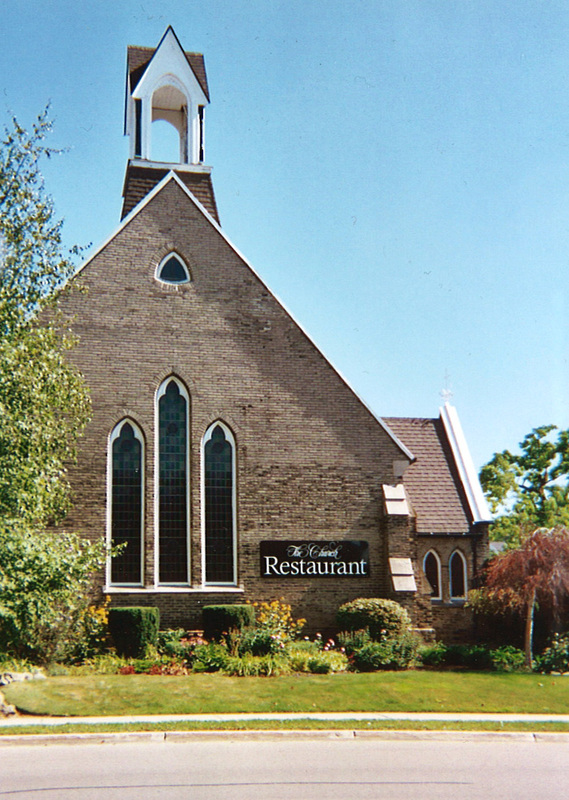 For this month’s challenge, consider this church which has been repurposed as a restaurant. In Rhys Bowen’s Evan and Elle, just such a structure featured in the story as the scene of a crime. Might the author have seen a photo, read a news article, or been to such a place? What might such a repurposed building inspire in your writing?